It’s hard to believe the holidays are almost here, I’m still trying to finish all my shopping. But if your like me then you’re always looking for last minute gift ideas. Well if your still looking for gift ideas for crafters, DIYer’s, or even tweens (the hardest age to shop for! ), then I have a great idea for you! 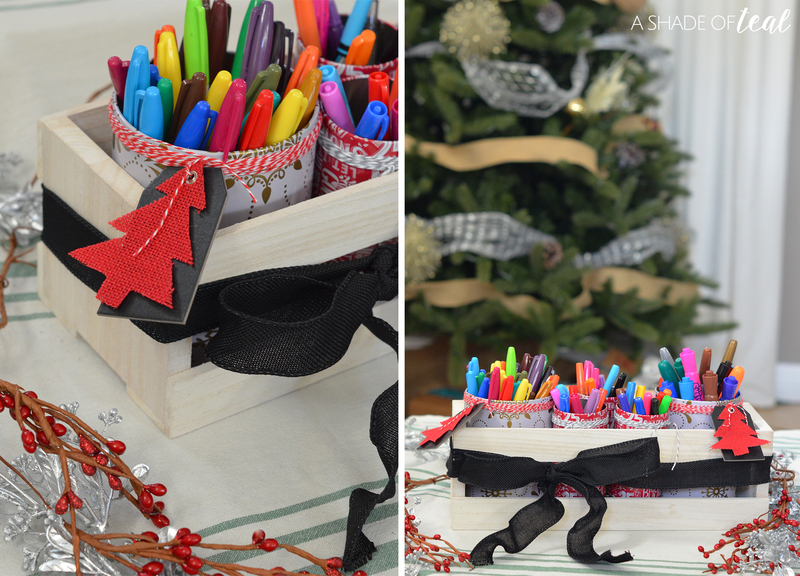 Make them a custom Marker filled Craft Crate! 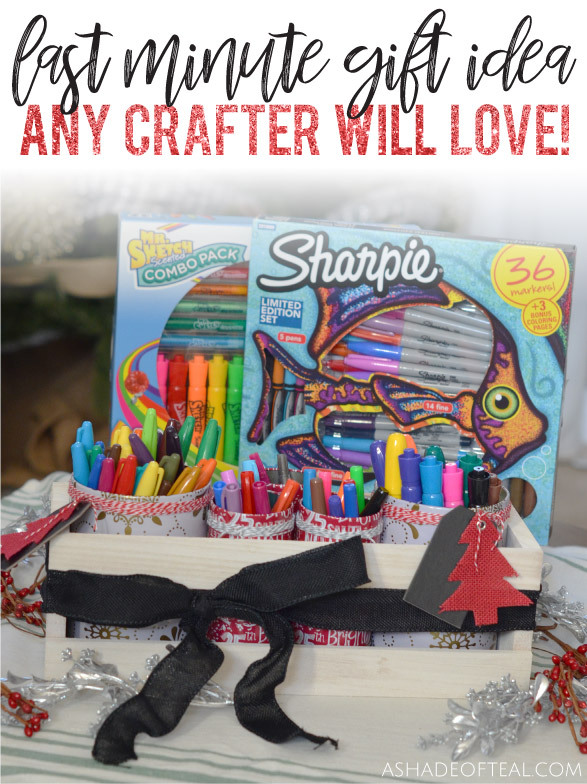 It’s the perfect gift for any marker or craft enthusiast. Plus, it’s pretty simple to put together. 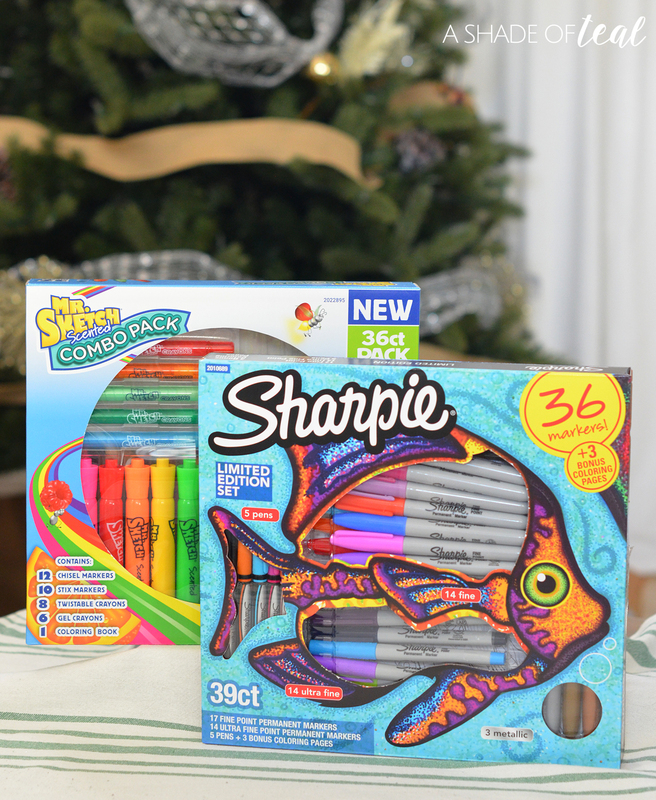 But before you get started you’ll want to pick up the Sharpie Permanent Markers Limited Edition Gift Pack (39 ct.) and the Mr. Sketch Scented Combo Gift Pack (36 ct.) found at Target. Hover over the image below to start shopping for the Gift Packs! Both the Sharpie Permanent Markers Limited Edition Gift Pack & the Mr. Sketch Scented Combo Gift Pack can be found at Target stores or on their website. 1. Gather the tin cans. I found mine at a craft store, but they sell them at most stores including Target. 2. Gather the rest of the supplies and remove the caps to the Tin cans. 3. 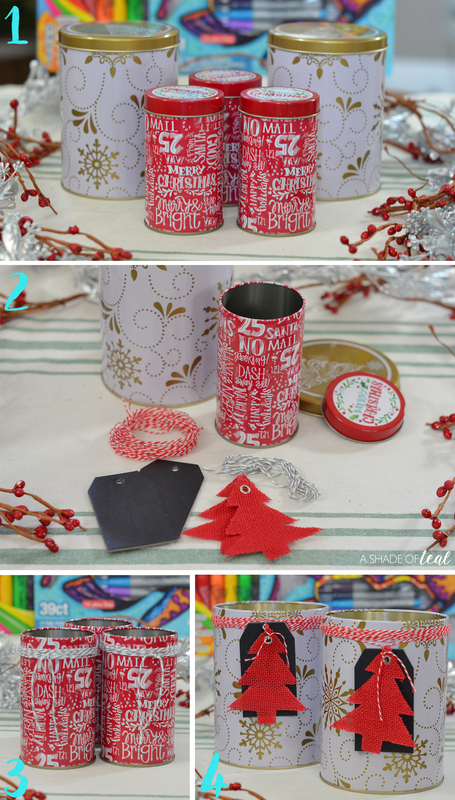 Wrap Bakers twine around the cans. 4. Accessorize with gift tags or hanging holiday decor. 5. 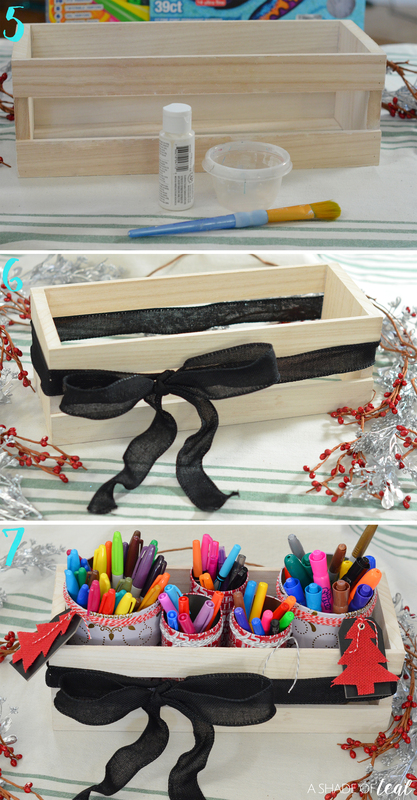 Gather your wood crate & paint supplies. Start painting the crate, I watered down my paint to give it a white-wash look. 6. Once dry, I added a large bow. 7. 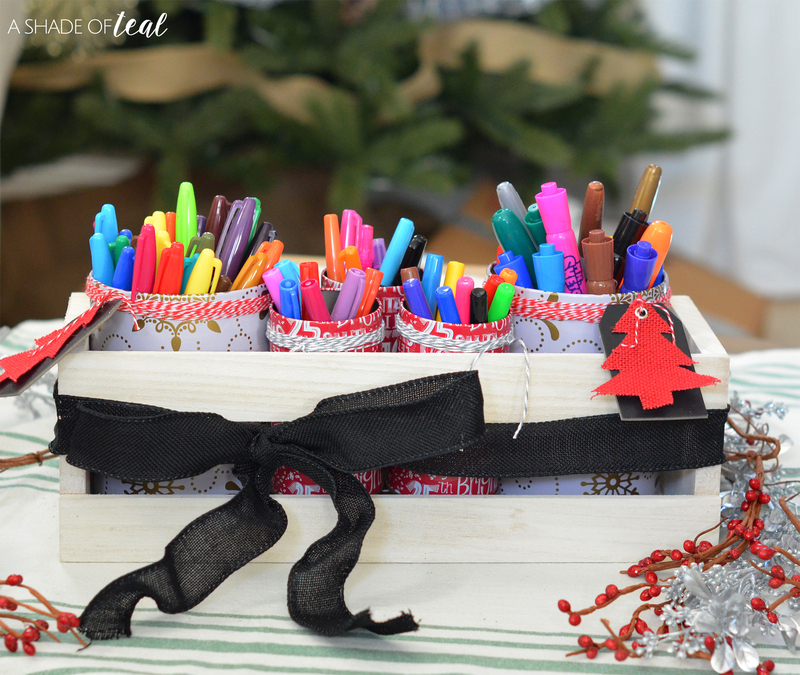 Finally, add your tin cans and fill will the Sharpie & Mr. Sketch Gift Packs. 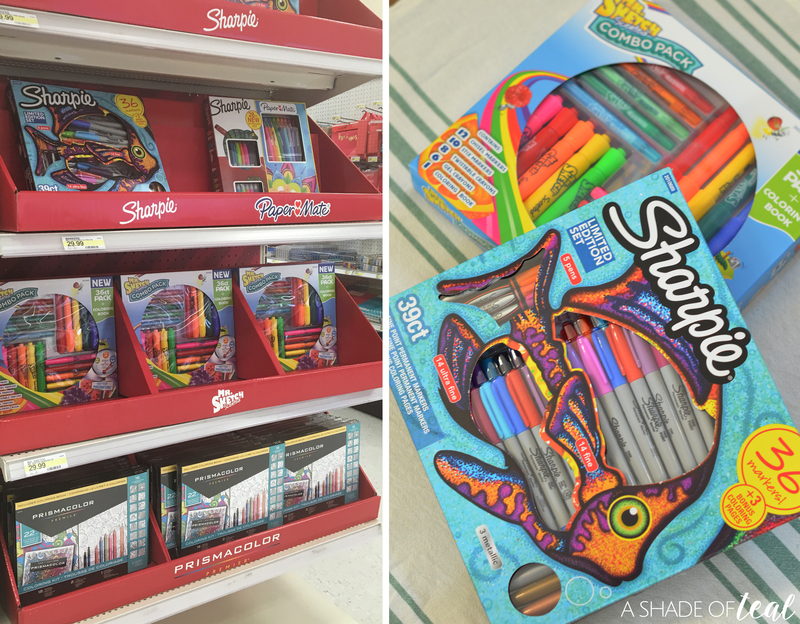 You can find and purchase the Sharpie Permanent Markers Limited Edition Gift Pack & the Mr. Sketch Scented Combo Gift Packs at Target. They should be displayed in the craft aisle on an end cap. Make sure to purchase from 12/3 to 12/23, so you can save $10 with low price of $19.99 with this offer. What are your favorite last minute gift ideas? 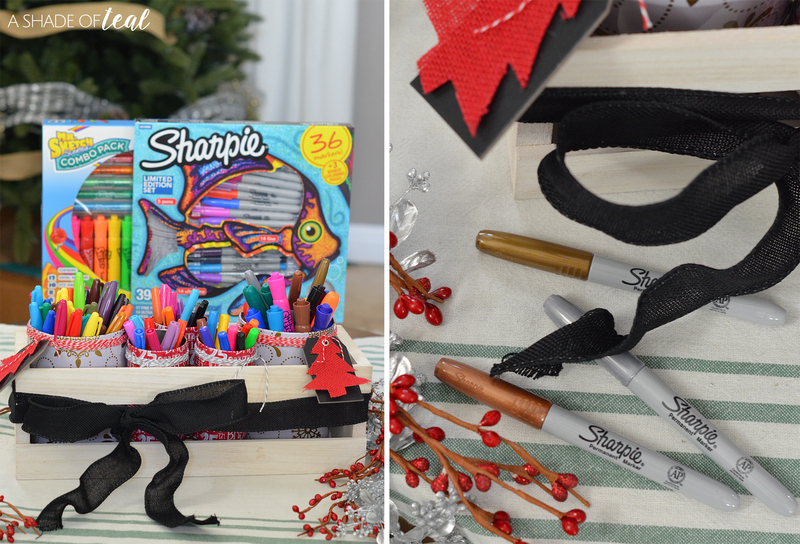 If you know of any crafters or marker lovers, then why not gift them the Sharpie Permanent Markers Limited Edition Gift Pack?